87 percent of volunteers cited their religious beliefs as an important motivating factor in their decision to serve. 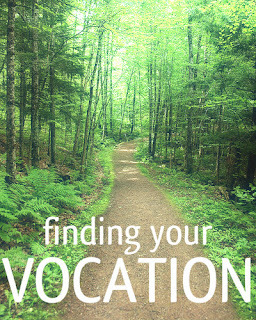 62 percent indicated that their service was an important part of their vocational discernment process. Nearly half (46 percent) of former volunteers attend religious services at least once a week. This is significantly higher than the U.S. population (27 percent) and the U.S. Catholic population (25 percent). Almost two in five former volunteers (37 percent) have considered a vocation to ordained ministry or religious life. 27 percent of these respondents have considered a vocation very seriously, and 35 percent say they have considered this somewhat seriously. Six percent of former volunteers are currently living out a vocation to vowed religious life or ordained ministry today. To read the full report of the CARA study, please click here. Through the experience of living in intentional community, working with minimal resources and engaging in simple living, learning to view the world through the lens of social justice, and committing to spiritual growth – our volunteers have the unique opportunity to examine the ways that God calls us to a life of service to others. For so many, living and working closely with the poor is a way to quiet the noise that distracts from hearing the voice of God. The experience of meeting Christ daily in the people they serve and the community of volunteers they work alongside is one that can never be forgotten. This week, as we celebrate National Vocation Awareness Week, we recommend a year of service to anyone who may be seeking a deeper understanding of their vocation. Browse through our RESPONSE directory to learn more about the 200+ programs that make up the Catholic Volunteer Network.